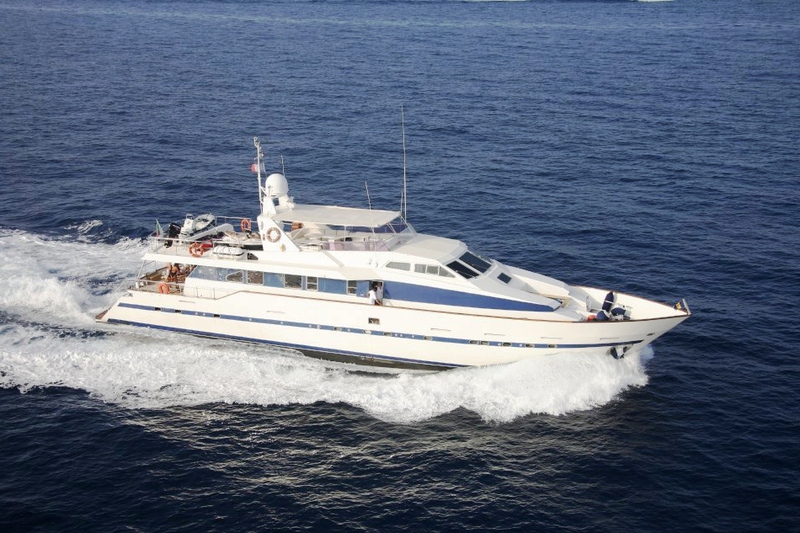 Motor yacht AZURE RHAPSODY was built by Azimut in 1991 and underwent a refit in 2012 and 2019. 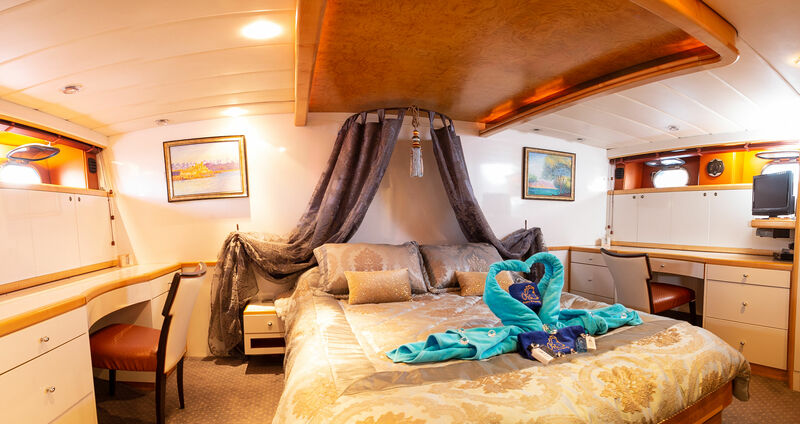 Charter yacht AZURE RHAPSODY measures 31m (101ft) and can accommodate up to 12 guests in 5 cabins, she is available for charter along the Cote d Azur in the West Mediterranean. 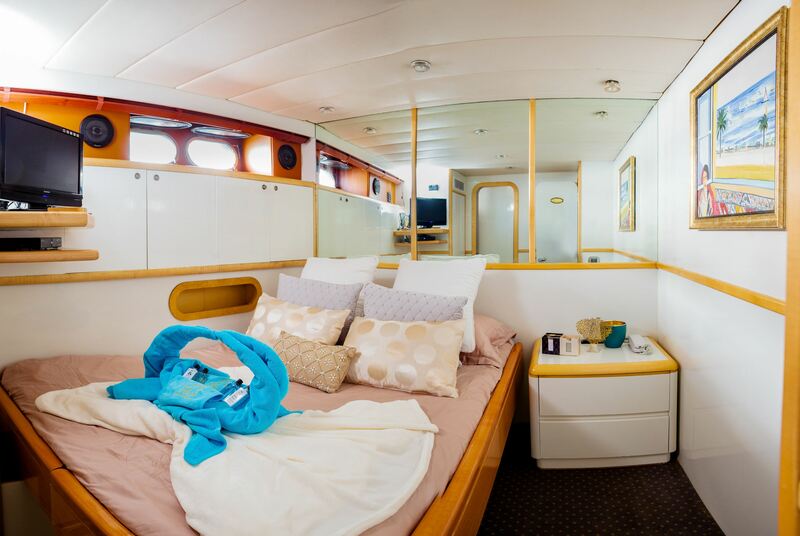 The yacht offers a light airy interior boasting lacquered panels, light wood inlays and teak and holly floors. 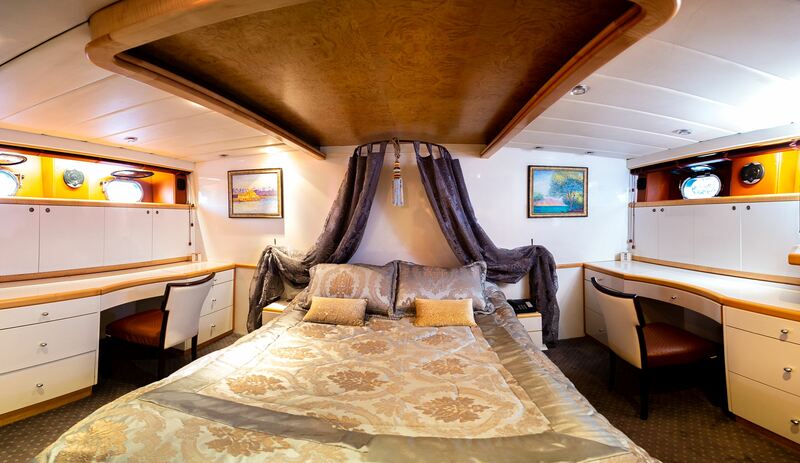 The soft furnishings are a neutral cream tone highlighted by large panoramic windows, providing plenty of natural light. 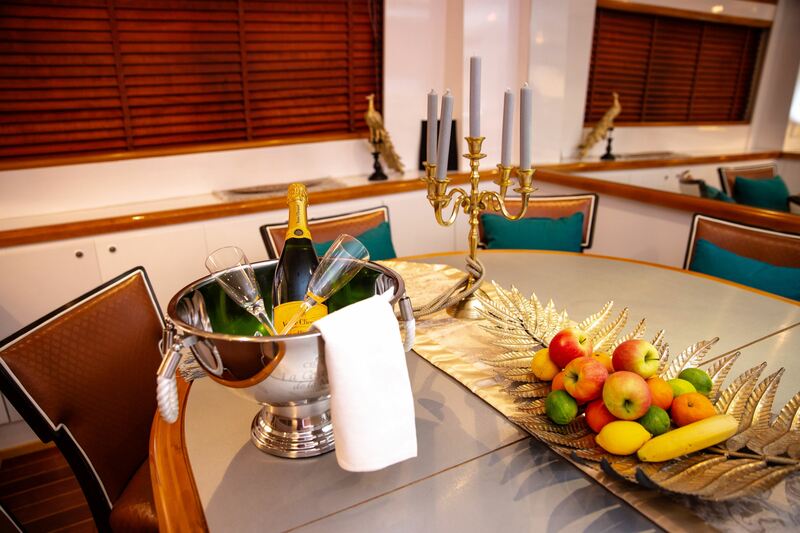 Guests may like to relax in the spacious salon while watching the flat screen TV or enjoy a formal meal at the open plan dining area forward of the lounge. 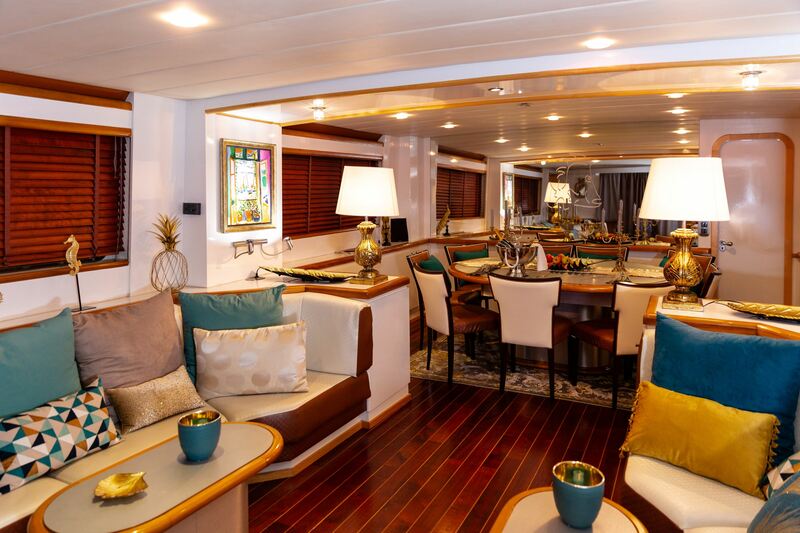 Charter yacht AZURE RHAPSODY features generous exterior living spaces. 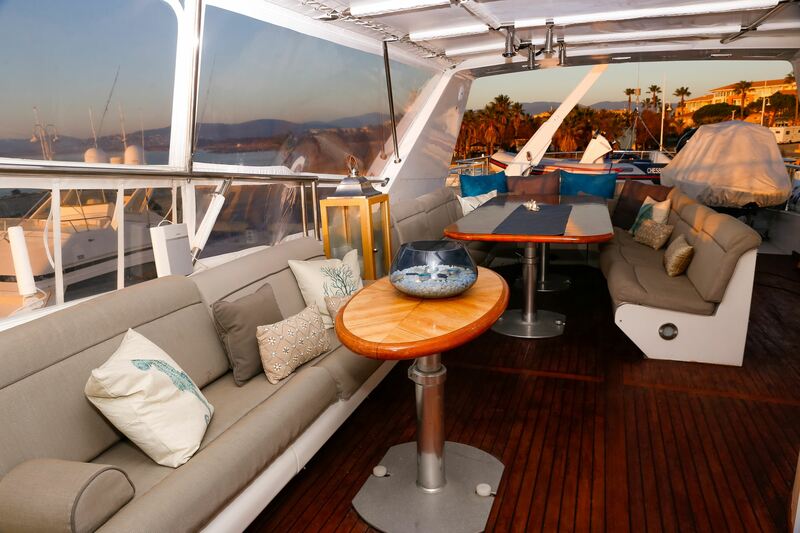 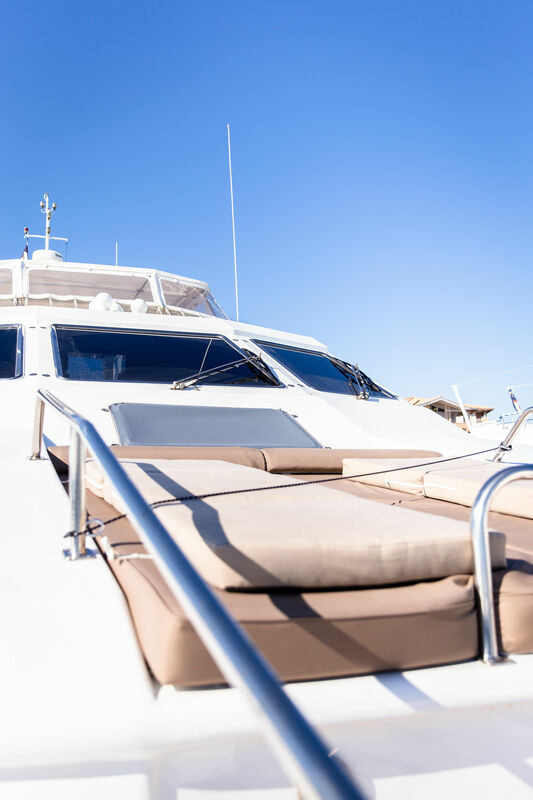 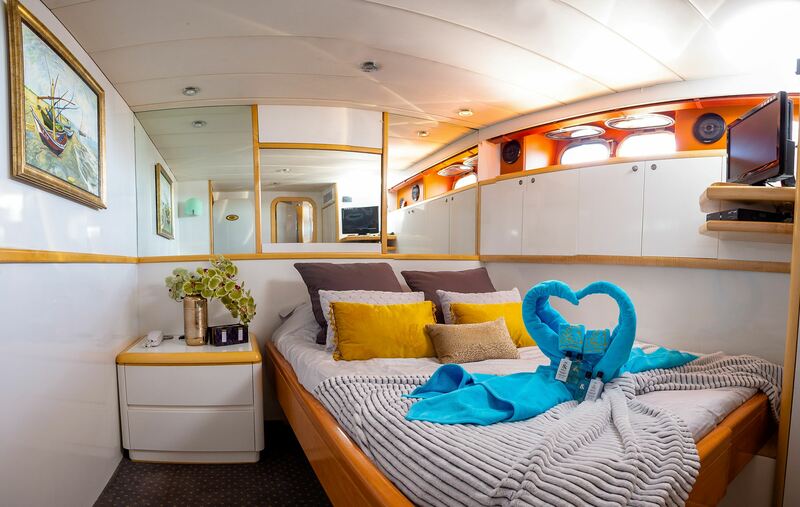 The aft deck is adjacent to the salon and shaded offering an alfresco dining option, further aft the extended swim platform makes water access and water toy fun effortless. 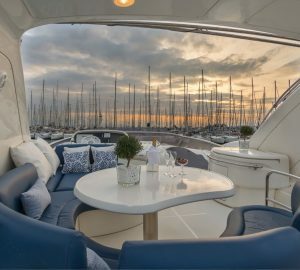 Motor yacht AZURE RHAPSODY boasts a large flybridge complete with sun pads, alfresco dining and Bimini cover. 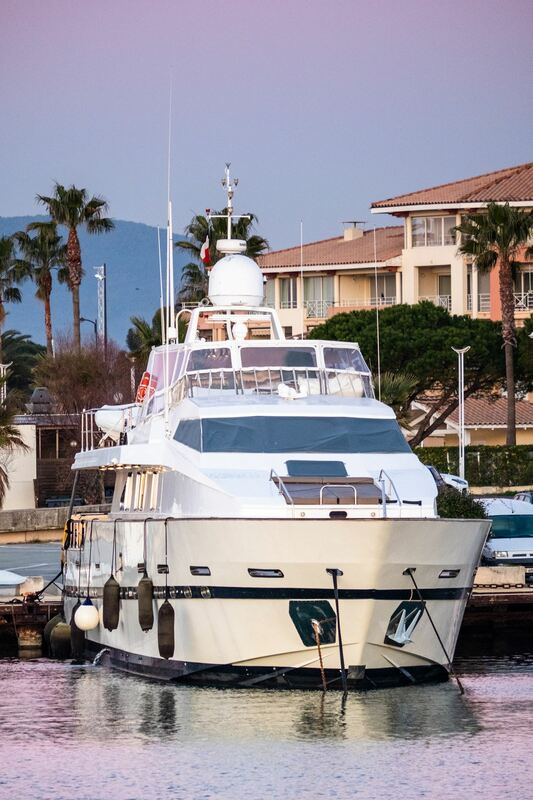 She has a beam of 6.2m (20.4ft) and a draft of 1.8m (5.10ft), she is powered by 2 x MTU 1000hp engines and can reach speeds of 15 – 19 knots. 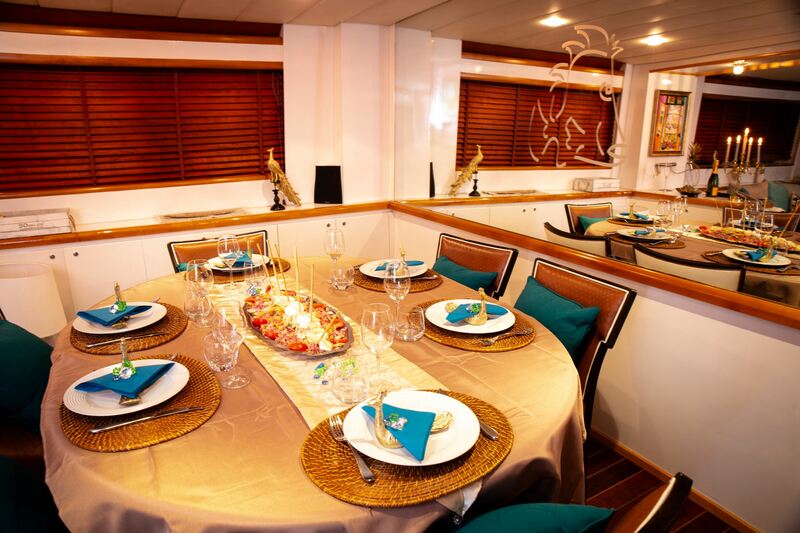 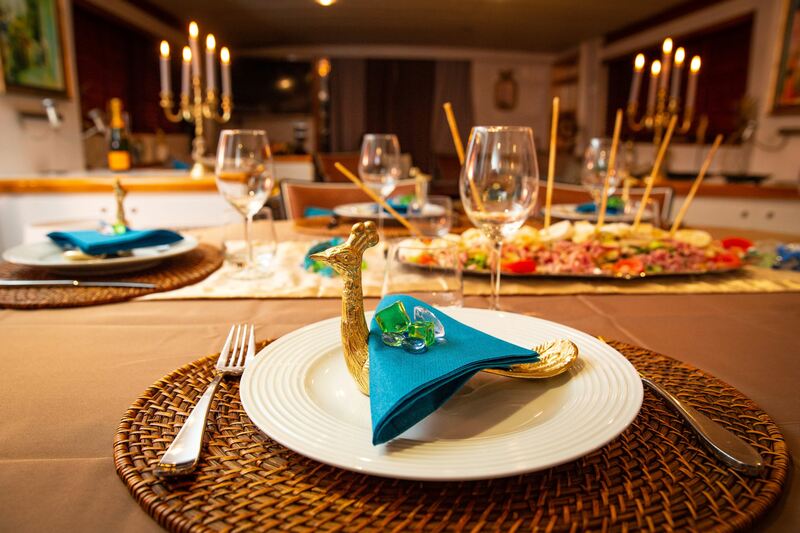 Luxury charter yacht AZURE RHAPSODY offers versatile accommodation for up to 12 guests. 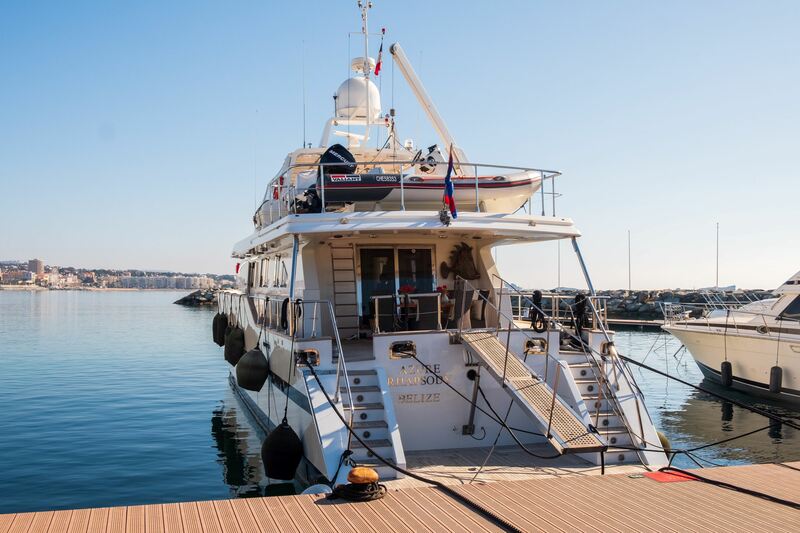 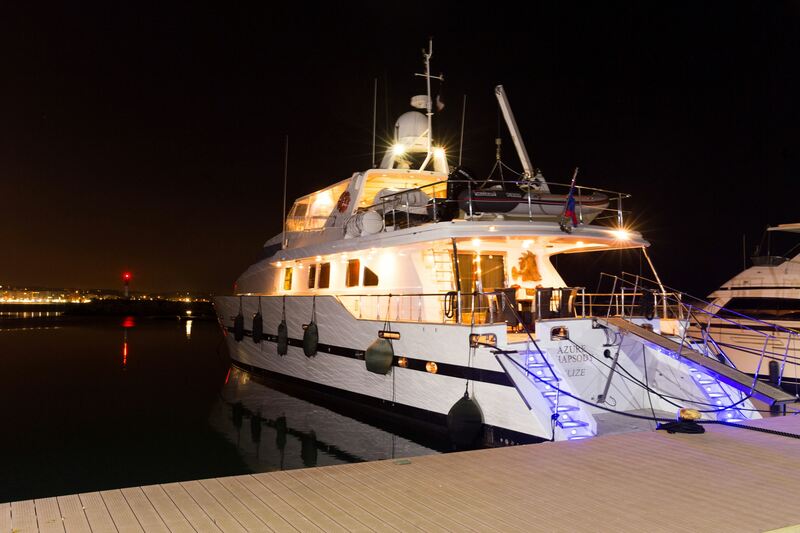 The yacht has 1 master cabin, 1 double and 3 convertible from twin to double cabins. 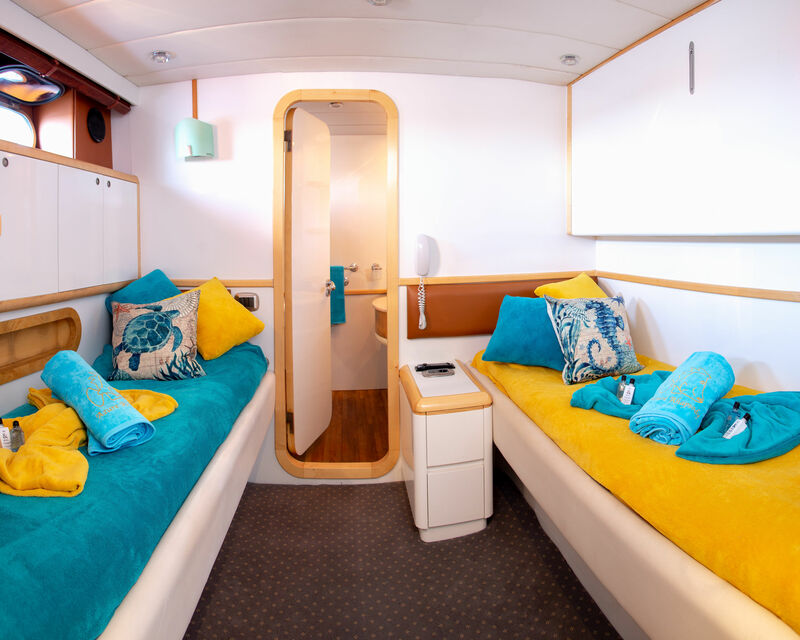 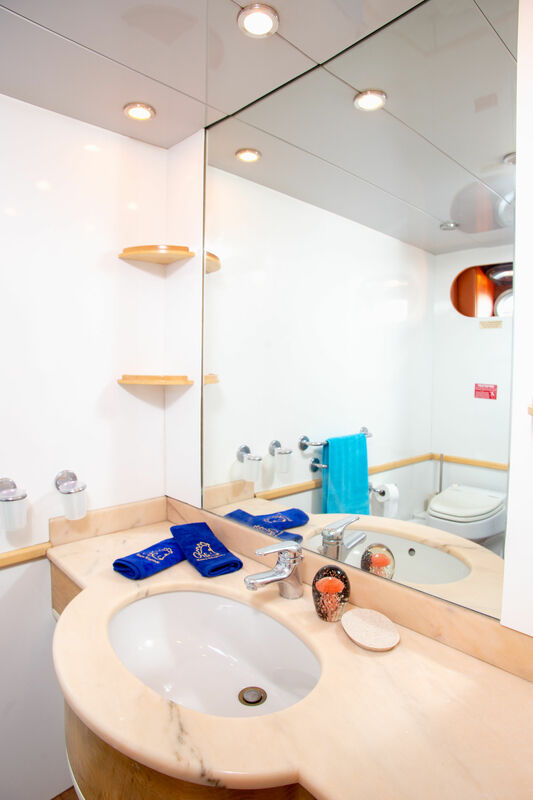 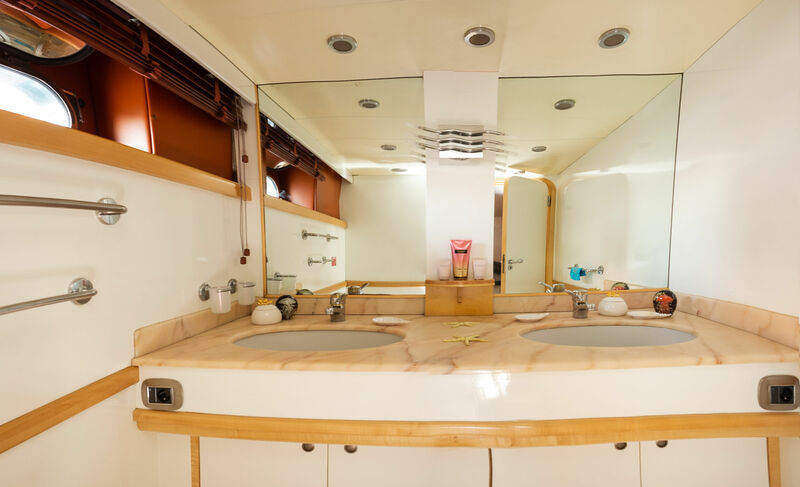 Each cabin offers TV entertainment and has en-suite facilities. 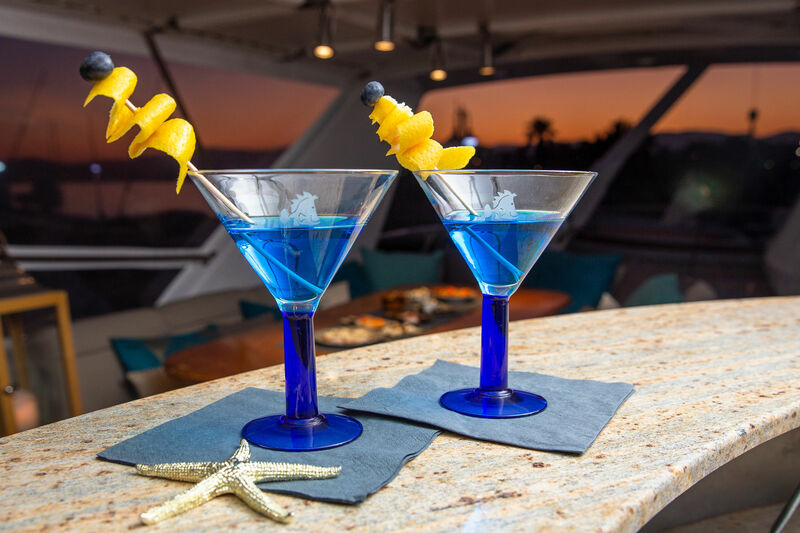 AZURE RHAPSODY is the ideal yacht for large groups, families or corporate event charters. 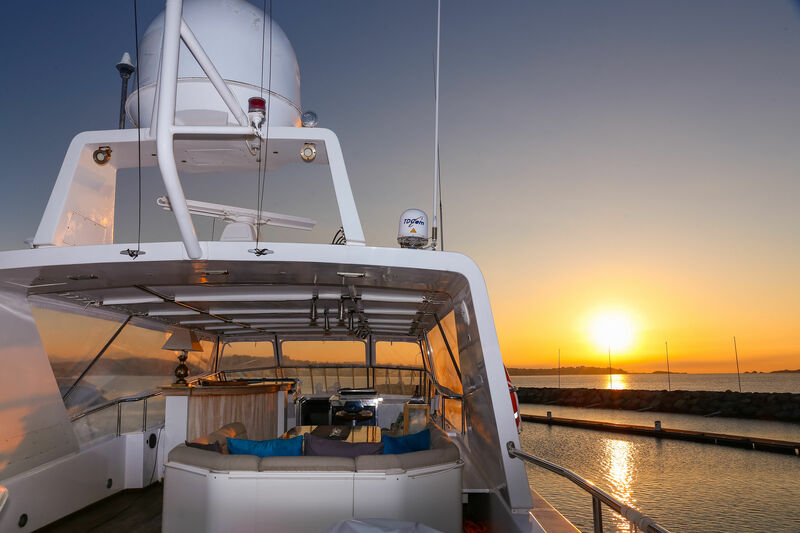 Tenders & Toys onboard the AZURE RHAPSODY motor yacht includes a Tender Zodiac Pro 4,20m / 50HP, water ski, wake board sea bob, 1 jet ski Seadoo 2 seatted, Scuba diving gear & fishing gear. 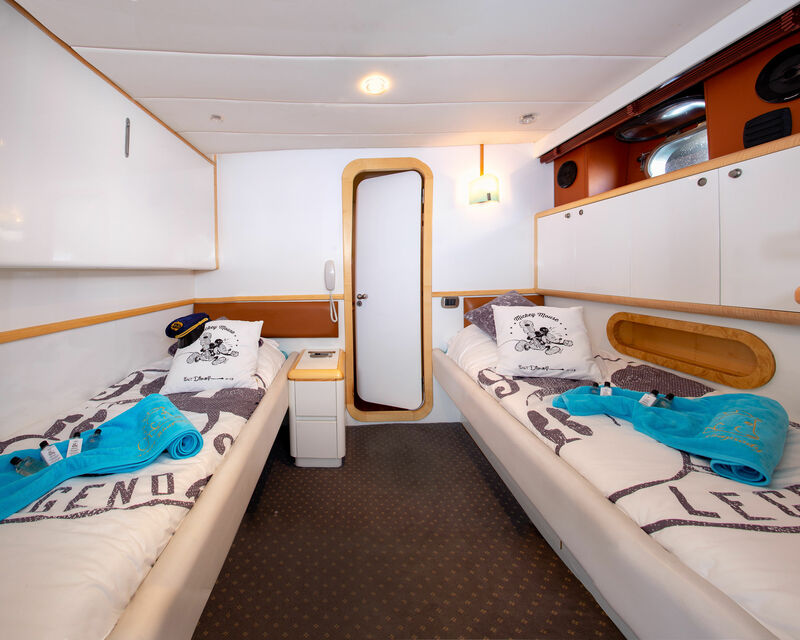 Buoys. 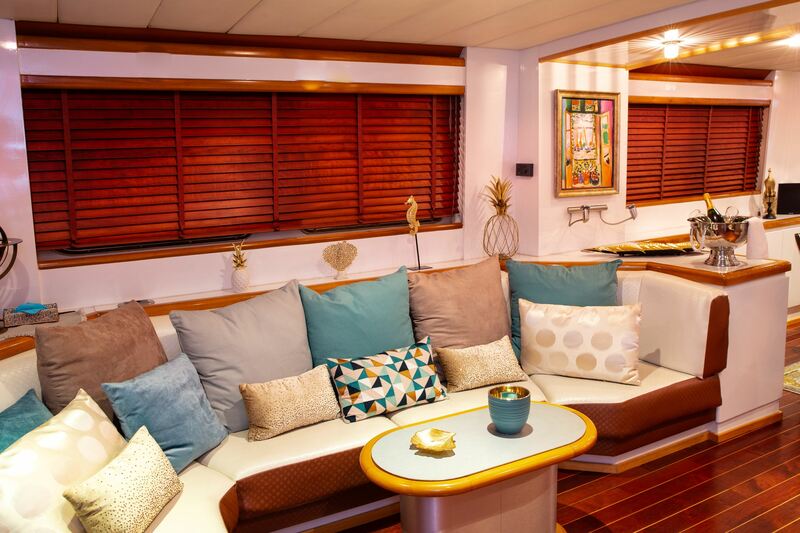 Audio Visual Equipment and Deck Facilities flat screen in the main salon and TV DVD + Hifi stéréo with Ipod in each cabin.